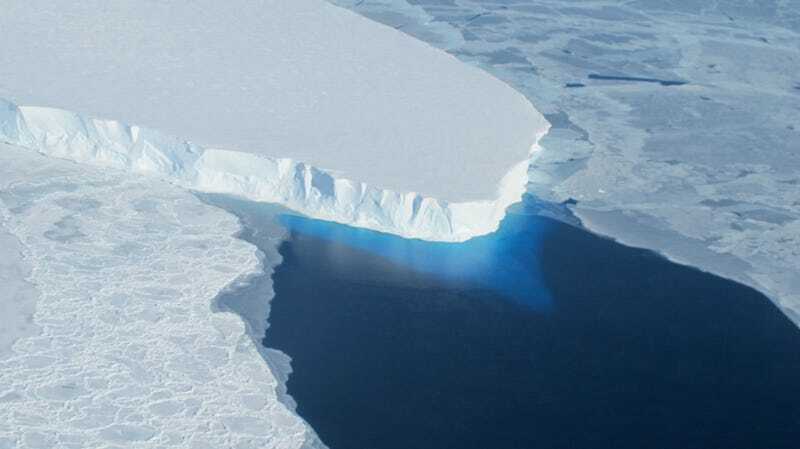 An analysis of the past 21 years of West Antarctica's rapidly dwindling glacier cover has revealed some troubling news: The rate of melting has tripled in the past decade alone. And it's only getting faster. The study, which is the work of researchers at the University of California, Irvine and NASA, used four different measurement techniques to arrive at a final figure for just how quickly the ice in West Antarctica — already believed to be the fastest melting of the Antarctic ice regions — was going. The figures, which account for ice loss in terms of run-off melt, breakaway icebergs, snow gain or loss, put the loss at just under 92 billion tons a year, with an average increase of 6.7 billions tons a year since 1992. You can check out the full published paper in Geophysical Research Letters right here.